Ghanaian actress/humanitarian, Juliet Ibrahim seem to be on a mission to find herself a man who is truly single. 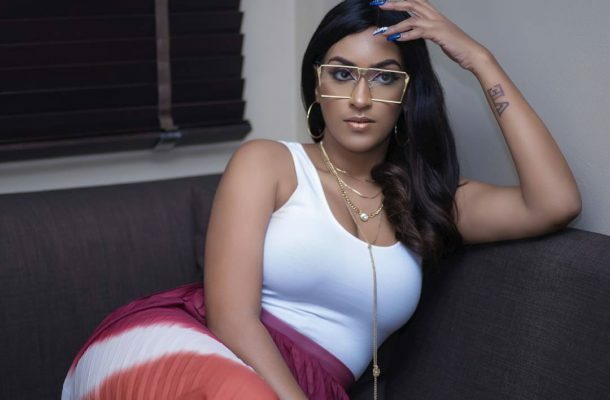 In a series of posts on Instagram, Ms Ibrahim who hasn't shown off any man on social media since her relationship with Nigerian rapper, Iceberg Slim hit the rocks has continuously lamented over the unavailability of single men. The mother of one was previously married to Kwadwo Safo jnr, the son of Ghanaian electronic engineer, Apostle Kwadwo Safo. In one post, she wrote: "Just a girl trying to date in a world filled with “Single guys” and their secret girlfriends. #AToastToLife#StoryOfMyLife #LOL"
The Award winning Ghanaian and Liberian descent Ibrahim also called out men who date more than one woman. “To all the guys with one girlfriend may God bless you financially this year! Amen.